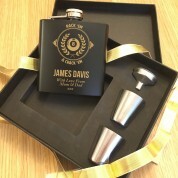 Personalised Gift Set for a fan of the great game of Pool. 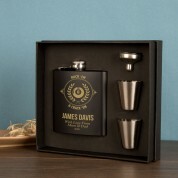 This is a Presentation Gift Set designed to be a lasting Keepsake of a Special Occasion such as a Works Leaving Gift or Retirement Present. 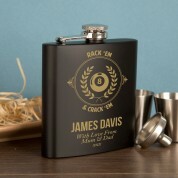 It is also a popular Father's Day Gift, Birthday Present and Christmas Gift Idea. 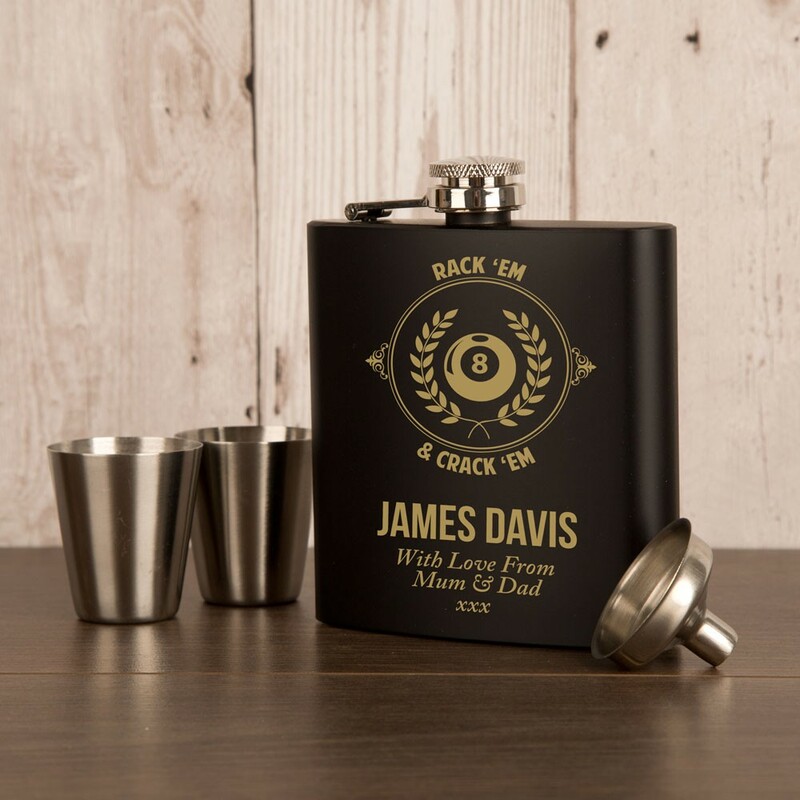 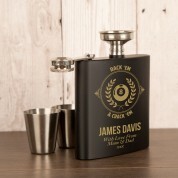 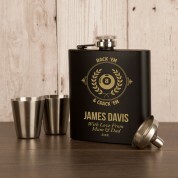 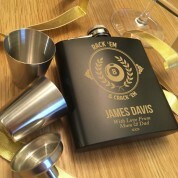 The recipient's name is laser engraved on the 6oz Flask as is your very own Personal Message.